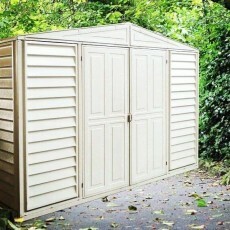 A 10′ wide maintenance free garden shed manufactured from fire retardant PVC, supported by a hot-dipped galvanised steel frame. 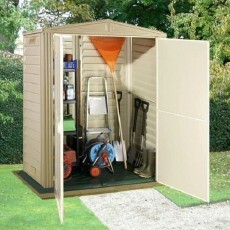 This 6′ wide apex roof plastic garden shed is an attractive wood grain effect textured finished unit supplied in sand colour with a brown roof. 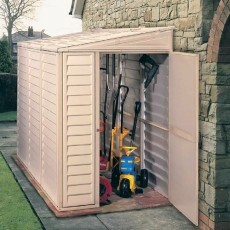 7′ wide apex roof plastic garden shed supplied in a Vanilla colour with stoney coloured doors and slate effect roof. 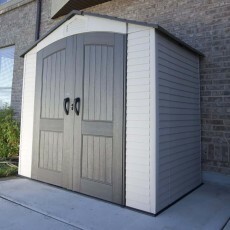 7′ wide plastic shed with an apex roof, manufactured from high-density polyethylene (HDPE) with heavy duty, powder coated steel reinforcements. 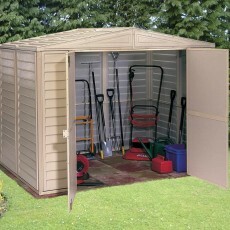 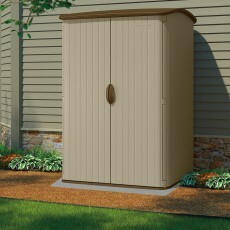 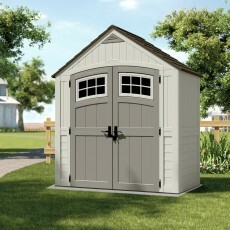 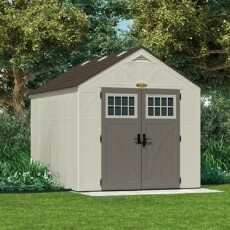 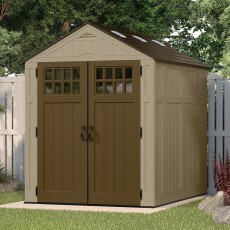 An 8′ wide heavy duty plastic shed with double doors to the front. 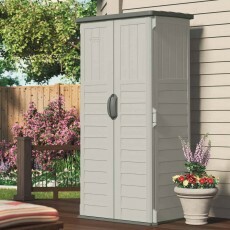 Features transom windows and 2 shelves with 8 optional locations.